Thiago Motta Set for PSG Move ? Despite recent denials from Inter Milan, their possibility of losing Thiago Motta to Paris Saint Germain this January is apparently pretty huge especially after the player himself isn’t having any issue in leaving Claudio Ranieri’s side. According to the player’s agent, Alessandro Canovi, they are now waiting for the Nerazzurri’s approval over PSG’s offer and should the Italian giant agreed terms with the French outfit than the player will start negotiating about wages and contract. Although Canovi basically stating that his client won’t be forcing Inter to sell him but the agent simply hinting Motta’s will to move from San Siro especially because there’s only around 18 months left in his contract. Apparently, the Nerazzurri’s management refusal in negotiating new contract for the midfielder last summer becomes the player’s reason in listening to other offers, especially if it’s much more interesting that what his currently have. Despite stating that his client would be open for a move to PSG, Canovi confirmed that the latest rumors stating that Motta has already agreed personal terms with the French outfit is not true at all. The agent ensured that he or his client hasn’t started any conversation at all with any Paris based club’s entourages as they’re honoring Inter’s position in the deal. We haven’t had any contact with the French officials and we haven’t spoken about money. The figures in the newspapers are not real. It’s pleasing that people such as Carlo Ancelotti and Leonardo are interested in Thiago, but we haven’t started any economical talks with them,” the agent added. 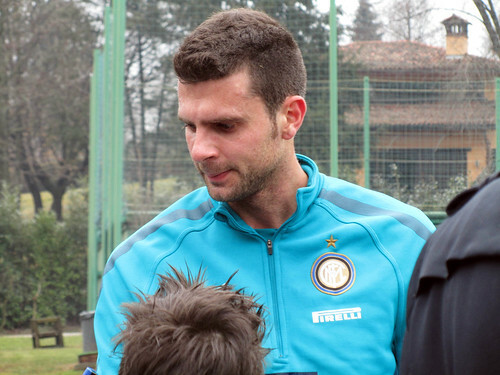 It would be interesting to see whether Inter would really agree shipping Motta away this January considering he has been a very important figure in the Nerazzurri’s midfield, especially after recovering from injury. The former Barcelona player’s return to the center of play pretty much helped the club’s improvement in form after playing pretty woeful in the earlier part of the season.